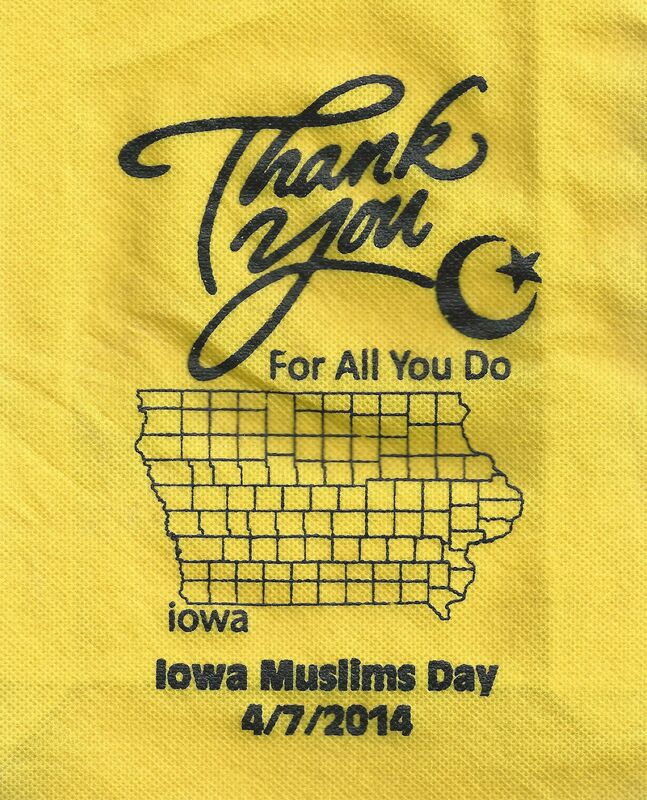 On April 7, 2014, Muslim-Americans visited the Iowa state capitol and provided a number of handouts about Islam to state elected-officials. These handouts were supposed to help those officials to better understand Islam. I reviewed two of those handouts, and the proclamation signed by the governor, and found them to consist largely of misinformation about Islam. The two handouts are not specific to Iowa, and are probably widely used by Muslim-Americans. Below are the two handouts with my comments about each. I have also included the Muslim Recognition Day proclamation, with my comments. Included in the activities of this day was an imam giving the opening prayer in the Iowa State Senate. This prayer maligned Jews and Christians as members of the Senate stood with their heads bowed in reverential silence. My comments about this prayer are below. Please feel free to use this information in addressing similar instances of Muslim opening prayers, handouts, and Muslim Recognition Day proclamations.